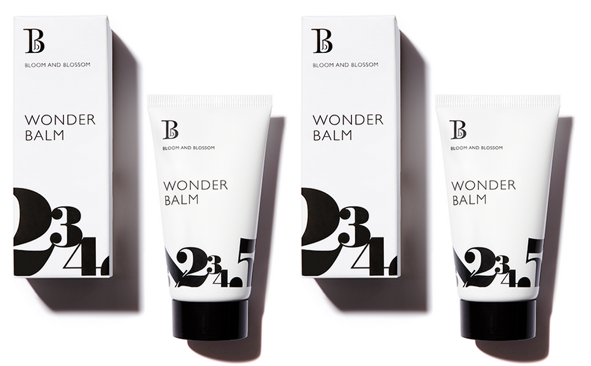 We’re loving this little tube of – yes – wonder, from all-natural brand Bloom and Blossom. A true multi-tasker, it emerges from the tube more like a cream and then smooths into skin – not as greasy as some multi-tasking balms, yet still veiling skin in a protective blend of soya oil, caster seed oil, shea butter, vitamin E and lanolin, infused with the soothing scent of lavender. Good on dry bits (we’ve been using it on elbows and heels), a dab as a hand cream, cuticle smoother, as a nappy balm or as a barrier cream on any area of sore or dry skin (and it’s safe to use in pregnancy). A touch is just great as a lip protector, leaving lips sheen-y but not over-glossy.